In December last year I went to an evening workshop on animation that was part of the Animateka festival in Ljubljana. It was fascinating to hear how a small group of local artists made a short animated film, from writing the script and making a storyboard to the final video. Having previously experimented with drawing a few seconds worth of animation in GIMP I was tempted to try at least once to go through this entire process and try to animate some kind of story. Not that I hoped to make anything remotely on the level that was presented there. They were professionals winning awards, I just wanted to do something for fun. Unfortunately I was unable to attend the following workshops to learn more. At the time I was working for the Institute, wrapping up final months of an academic project, and at the same time just settling into an industry job. Between two jobs it was unrealistic to find space for another thing on my schedule. I played with a few ideas here and there and thought I might prepare something to discuss at this year's GalaCon. During the Easter holidays I took a free week and being somewhat burned out I didn't have anything planned. So I used the spare time to step away from the life of an electrical engineer and come up with a short script based on a song I happened to randomly stumble upon on YouTube some weeks before. I tried to be realistic and stick as much as possible to the things I felt confident I could actually draw. 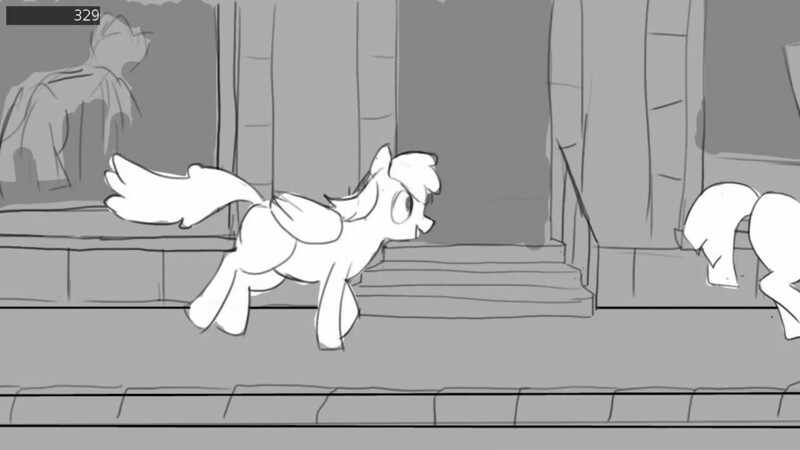 By the end of the week I had a very rough 60-second animatic that I nervously shared around. At the time I doubted I would actually do the final animation. I was encouraged by the responses I got to the script, but I didn't previously take notes on how much time it took me to do one frame of animation. So I wasn't sure how long it would take to complete a project like that. It just looked like an enormous pile of cels to draw. And then I found in my inbox a mail saying my scientific paper that I had unsuccessfully tried to publish for nearly 4 years got accepted pending a major revision and everything else was put on hold. It was another mad dash to repeat the experiments, process the measurements and catch the re-submission deadline. By June my work at the Institute ended and I felt very much tired and disappointed and wanted to do something different. 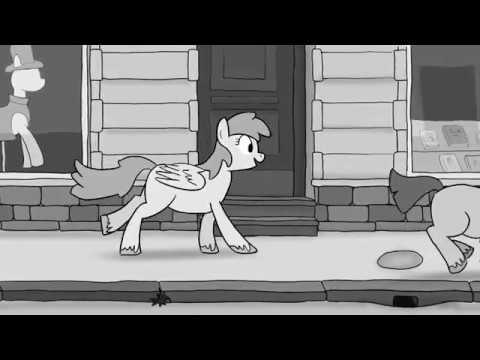 With a part of my week freed up I decided to spend the summer evenings working on this animation project I came up with during Easter. I went through some on-line tutorials to refresh my knowledge and, via a recommendation, bought the Animator's Survival Kit book, which naturally flew completely over my head. By August I was able to bother some con-goers in Ludwigsburg with a more detailed animatic and one fully animated scene. I was very grateful for the feedback I got there and found it encouraging that people were seeing some sense in all of it. At the end of the summer I had the wall above my desk full of scraps and of course I was nowhere near finished. I underestimated how much work was needed and I was too optimistic in thinking that I will be able to dedicate more than a few hours per week on the project. 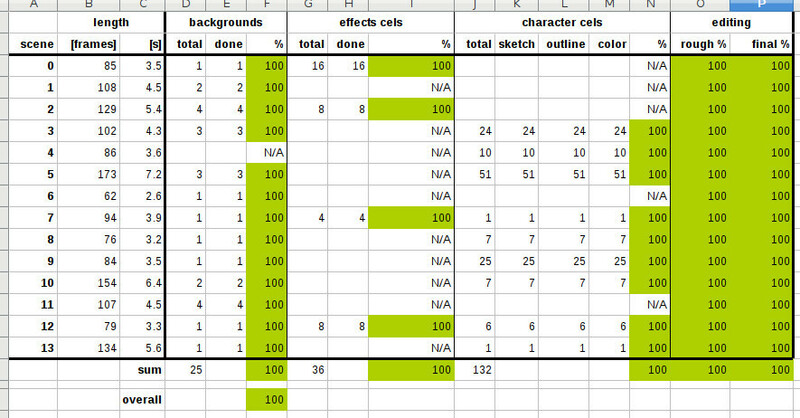 I scaled back my expectations a bit and I made a new, more elaborate production spreadsheet. The spreadsheet said I'll finish in November, which in the end actually turned out to be a rather good estimate. The final render landed on my hard disk on the evening of 30 October. So here it is, a 60 second video that is the result of about 6 months of on-and-off evening work by a complete amateur. 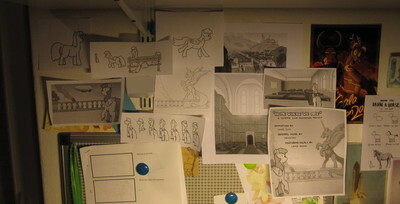 Looking at it one month later, it has unoriginal character design obviously inspired by the My Little Pony franchise. I guess not enough to appeal to the fans of that show and enough to repel everybody else. There's a cheesy semblance of a story. But it means surprisingly much to me and I probably would never finish it if I went with something more ambitious and original. I've learned quite a lot about animation and video editing. I also wrote quite a bit of code for making this kind of animation possible using a completely free software stack and when time permits I plan to write another post about the technical details. Perhaps some part of my process can be reused by someone with a bit more artistic talent. In the end it was a fun, if eventually somewhat tiring, way to blow off steam after work and reflect on past decisions in life. If I have one apple and one orange, how many fruits do I have?